John Boyle is Board Certified in general orthopedics and sub-specializes in problems of the knee and sports medicine. He received his orthopedic training at the University of Pittsburgh and completed fellowship training in the knee and sports medicine at the University of Vermont and Harvard University / Mass General Hospital. Dr. Boyle served as team physician for the Boston Bruins for fourteen years. He was also team physician for the New England Patriots, University of Pittsburgh men's and women's gymnastics teams and Endicott College sports teams. He has been the team physician for Beverly High School football for over 25 years. Dr. Boyle has a solo practice with no Physician Assistants, Nurse Practitioners nor Medical Assistants. This ensures that every patient will see only the doctor at every visit. The office environment is relaxed and every effort is made to allocate enough time to answer questions and meet the patient's needs. Dr Boyle's primary goal is to achieve patient satisfaction and high quality orthopedic care. Dr. Boyle played high school football, soccer, and gymnastics. He was a Division I All-NY State soccer player at Niagara. John has run over 70 marathons and completed numerous 100 mile ultramarathons including the prestigious Badwater 135 in Death Valley. He coached Beverly youth baseball for many years and ran a boxing program in Essex. 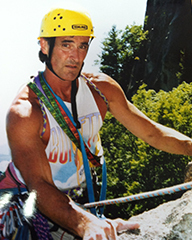 Most of his free time now is spent running the Gloucester beaches, playing guitar, and climbing rock and ice with his buddies.